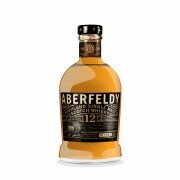 Aberfeldy distillery was founded in 1896 by John Dewar & Sons and is located in Perthshire in central Scotland. Whisky production began in 1898 and luckily survived the Pattinson whisky crisis that followed soon after. The distillery was closed between 1917 and 1919 and was sold to Distillers Company Limited (DCL) in 1925, only to be closed one more time during the Second World War. 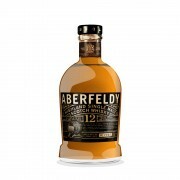 After the war Aberfeldy distillery prospered, and in 1998 Bacardi – now the owners of John Dewar & Sons – bought it back from Diageo. 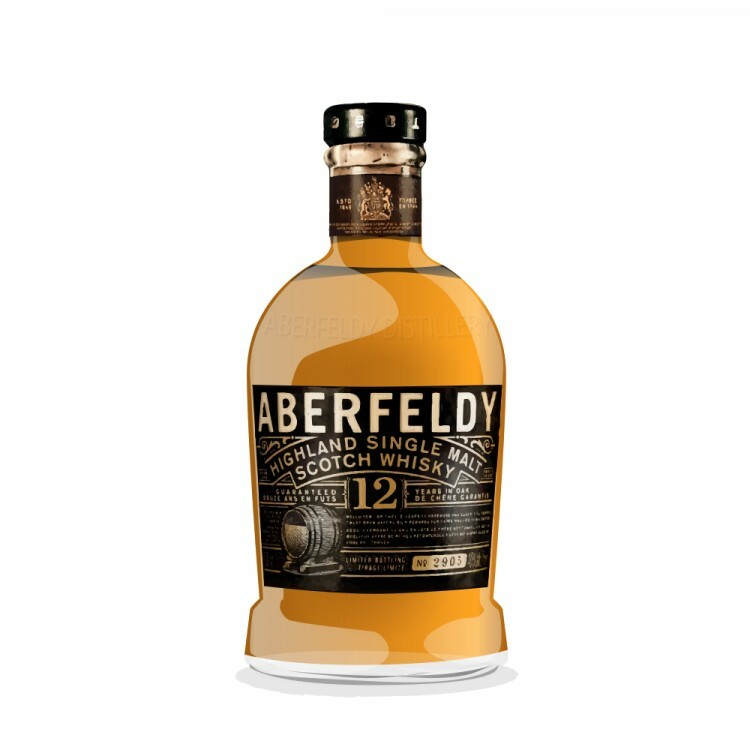 The 12-year old bottling was first launched in 1999 and has been part of the Aberfeldy core range ever since. This review refers to a "limited bottling" from batch no. 2,905. The nose is light and fruity to start with. After a while there are flavours of oranges and vanilla, followed by a touch of fudge. Quite grainy too. The palate is medium-bodied, creamy and just a bit spicy. There are more vanilla flavours, followed by honey and some grassy notes. The finish is of medium length and pleasantly malty. Light notes of cinnamon and caramel round this one off. This is a light and very easy to drink everyday dram, good to be sipped at any opportunity. I also love the new packaging that was introduced in 2014. Even if this is not too complex, I still consider it an excellent malt to have once in a while. This was the last of the "performance" malts at the Last great Malts of Scotland affair I attended last month (thanks @JasonHambrey). My notes from the evening indicate it was sweet. They did talk about honey in the performance or in the pamphlet. I wrote :"nice, would not turn down, would not buy". I also noted the 21 year old was "ok"
Haven' tried the new 12yo yet, unsure if it is a new take on the old or just repackaged. Only tried it once at the distillery, safe to say I was not impressed, even like the Dewar blends they sold there better. Good review.